Polar Industries Electrical & Air-Conditioning use top quality products to ensure all projects are completed to our high standard. We have built relationships with our top suppliers, including Clipsal, Beacon Lighting, Fujitsu and Sherriff Electrical Wholesalers, acting as a service agent for these manufacturers. This means we not only supply and install their products, but we also handle all after-sales service in-house. We handle any warranty enquiries and all repairs are carried out by us. Our professional refrigeration technicians can supply and install a variety of air-conditioning units. 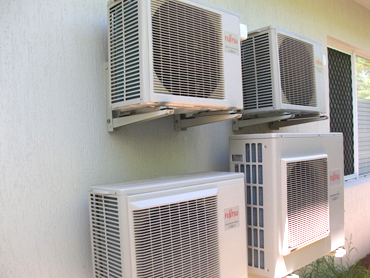 We are also able to custom-design air-conditioning systems for larger or more complex areas. We are service agents for many brands, with our main suppliers being Fujitsu and LG. Fujitsu offer domestic and commercial air-conditioning solutions, backed by the latest technology and advancements in design. LG have been designing air-conditioners for more than 40 years, with a huge range of options to suit buildings of any size or shape. From wall-mounted systems to ceiling consoles, Polar Industries have a variety of units to choose from. Book a consultation to discuss your air-conditioning solutions today. Whether we are pre-wiring a new home, upgrading an existing switchboard or replacing outlets, Polar Industries Electrical & Air-Conditioning use only the highest quality products. 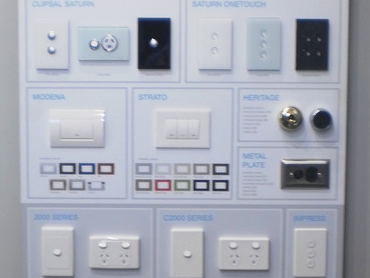 We rely on reputable manufacturers such as Clipsal and Sherriff Electrical Wholesalers to supply our products. We carry a range of safety products, as well as a variety of switches and power points that can be colour-matched to your home. Polar Industries Electrical & Air-Conditioning also stock a variety of energy efficient equipment that can be installed in new or existing homes. We offer full design advice when it comes to the best products to suit your needs. As a service agent and expert installer for Beacon Lighting, we are able to provide expert design advice for many lighting projects. Whether you require lighting for the home, office or warehouse, Polar Industries Electrical & Air-Conditioning can tend to your needs. 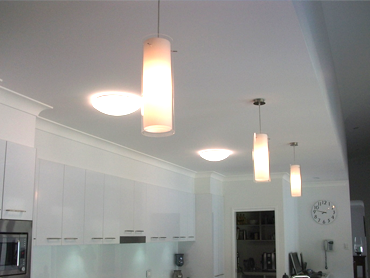 When it comes to lighting installation, we have experience in a number of divisions. Our new home division has been involved in the electrical and lighting installation of more than 170 new homes in Townsville, with more added to the list on a weekly basis. For proven reliability and expertise, contact the lighting specialists at Polar Industries. Polar Industries | Electrical & Air-Conditioning is a locally owned and operated company. We are dedicated to providing a high level of service, as well as building and maintaining long term business relationships with Townsville locals. This focus helps us to stay ahead of other companies within the industry, ensuring we are here long after our competitors are gone.